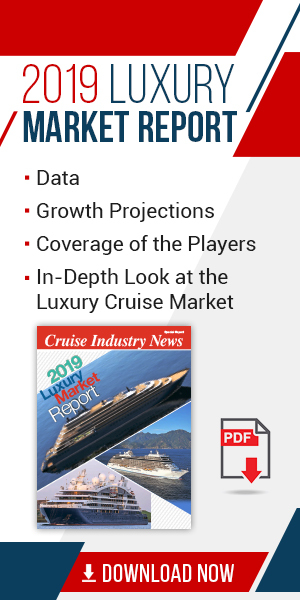 Crystal Cruises has reported its highest ever October booking week and highest ever booking month for its subsequent year of cruises. The week ending Oct. 31, 2011 also marked the line’s second greatest booking week for Crystal Symphony and Crystal Serenity since Jan. 2005, when the line had three ships. In September, Crystal launched “Book Now” fares and savings with Oct. 31 expiration dates. While a new series of “Book Now” fares debuts today with very attractive savings for bookings by Dec. 31, fares have also increased for more than 20 worldwide cruises. President Gregg Michel attributed the booking success to Crystal’s “Book Now” fares and the price/value equation for 2012, along with strong travel agent support, global sales and marketing efforts, attractive family initiatives and the unparalleled reputation of the Crystal vacation. The Crystal Serenity underwent a major redesign in May and Crystal Symphony, which also enjoyed a remodeling in 2009, will emerge from her scheduled June 2012 dry-dock with new enhancements. Crystal is also adding to the inclusiveness of its experience with complimentary fine wines, open bars and paid gratuities, beginning spring 2012. For 2012 and 2013, Crystal is offering a greater number of seven- and nine-day cruises to complement its worldwide cruise repertoire of two-week itineraries and world cruises.